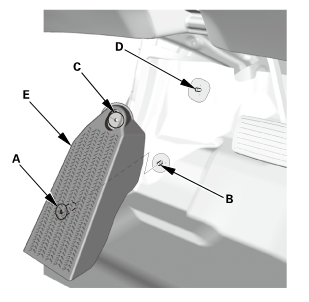 Turn the brake pedal position switch (A) 45 ° counterclockwise, and pull it back until it is no longer touching the brake pedal. 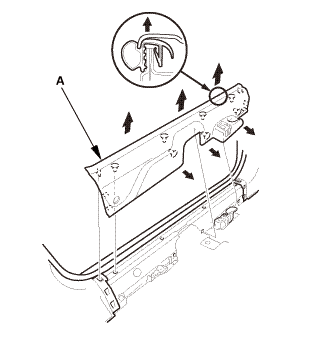 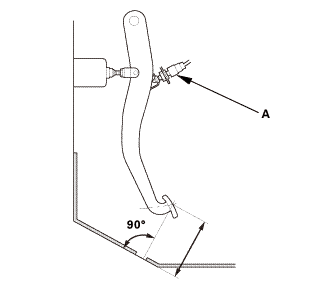 Lift up on the brake pedal by hand. 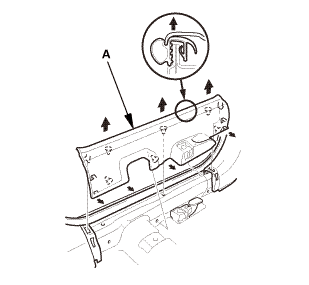 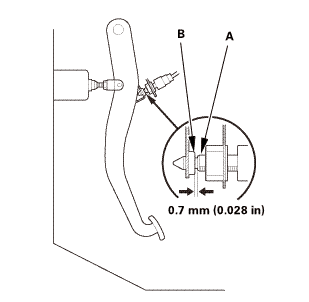 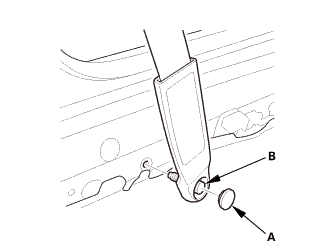 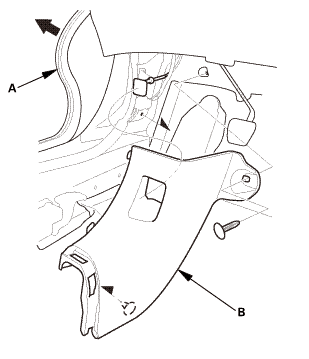 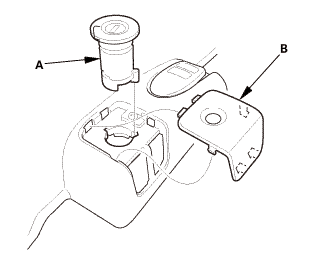 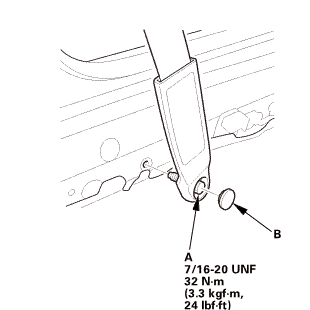 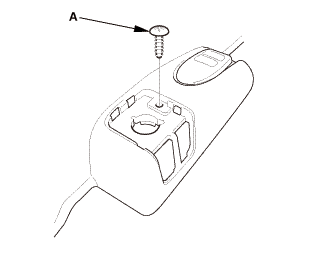 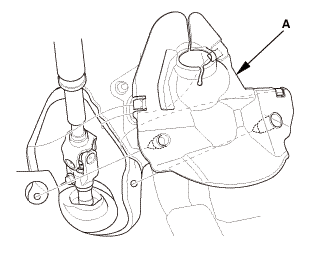 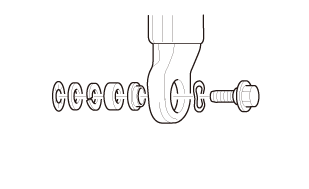 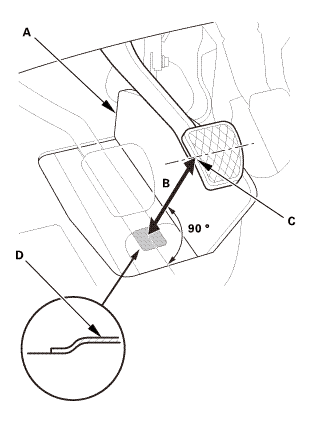 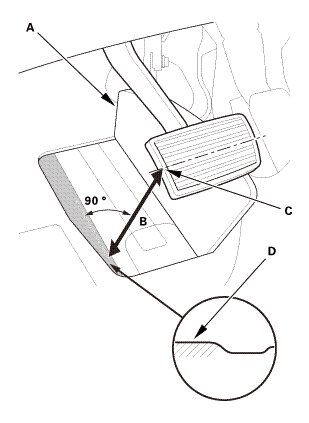 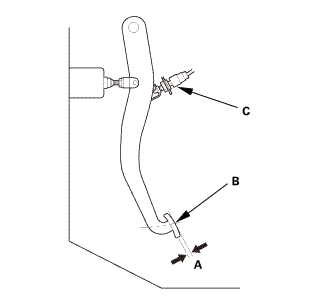 Push in the brake pedal position switch until its plunger is fully pressed (threaded end (A) touching the pad (B) on the pedal arm). Turn the switch 45 ° clockwise to lock it. 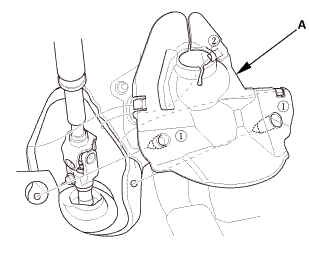 The gap between the brake pedal position switch and the pad is automatically adjusted to 0.7 mm (0.028 in) by locking the switch. 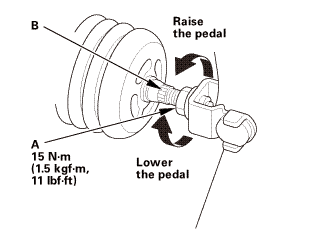 Make sure the brake lights go off when the pedal is released.